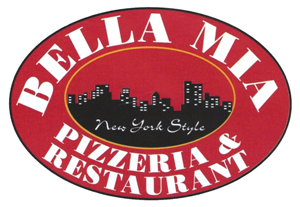 Online ordering menu for Bella Mia Pizzeria and Restaurant. Come check out our Italian specialties here at Bella Mia Pizzeria and Restaurant including Spinach & Ricotta Tortellini, Manicotti with Marinara Sauce, and Four Cheese Ravioli. Our menu also features pizza, wings, subs, sandwiches, and wraps! We're conveniently located near Worthington Park and Long Gate Shopping Center. Order online for carryout or delivery!